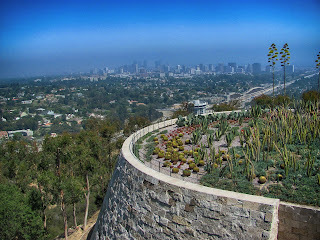 The Getty is a Museum and not a hike, but I think it deserves a post. 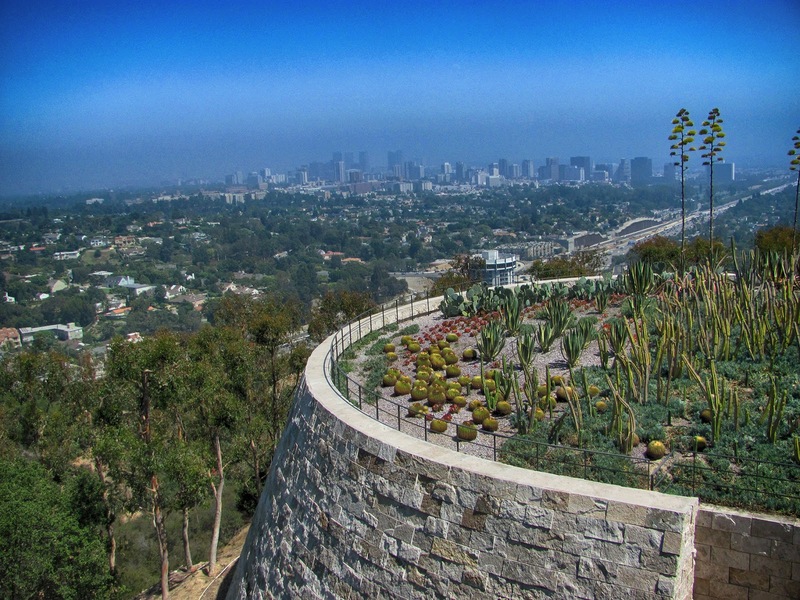 The gardens, fountains and especially the panoramic views from the mountaintop at the Getty museum are some of the best in Los Angeles. The museum is one of the best attractions in the city. I've lived in the OC for a long time now, and today was the first time I've ever made it up there. Like a lot of people in Orange County, I tend to stay away from LA because of the traffic. I was extremely impressed with the museum. The indoor exhibits are amazing. I love impressionism, and the Getty did not disappoint on that front. I saw paintings from Van Gogh, Pissaro, Manet, Monet, Degas, and Renoir. We spent almost an hour walking through the Japanese photography exhibit. After walking around the exhibits for a few hours, we ate lunch on the garden terrace overlooking LA. Technically, the museum is free, but parking will cost you 15$. You can't avoid paying it because the only access to the museum is by tram and parking in the surrounding neighborhood is extremely restricted (we checked). Don't even think about ordering from the museum cafe unless you bring a wheelbarrow full of cash. Two small sandwiches and two sodas cost us 30$. The museum in open on weekdays in the summer from 9-5, and from 9-9 on Fridays and Saturdays. Check the Getty website before you make the drive because they sometimes close the museum down for private events.